Watt's Up? : Fun at Matt's desk! I am about to head out for a week long vacation (actually Gary will be there too) so I wanted to do something short and fun for this month’s blog post. 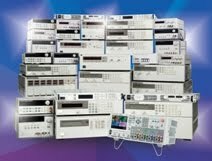 I have been with Agilent 13 years come mid June (man I am getting to be old). Through the years, I have collected some interesting items on my desk. I wanted to share some of the more interesting items that I have collected through the years. What do you think this green object is? If you answered a 2500 Watt resistor then you’re right! This particular resistor is rated for 0.8 Ohms. Agilent sells power supplies that are rated all the way up to 6.6 kW so sometimes you need a high power resistive load. I personally would not put 2500 W through this resistor unless I had a whole lot of ventilation. Luckily last time I used it I only put like 1500 W through it so it only got mildly toasty. How much voltage do you think that this probe can measure? This is the Agilent 34136A high voltage probe for our DMMs. Before I acquired this probe, I was used to teeny tiny normal alligator clip probes but this probe can measure up to 40 kV!. I don’t know about any of you readers but I probably would not want to be anywhere near a 40 kV Voltage myself. This probe has banana plugs on it and you can hook it up to our DMM products (34401A, 34410A, etc.). This probe almost looks like a sword of some sort with the pointy tip and all. How much capacitance do you think this smallish capacitor is rated for? This is a 10 F capacitor. That is right 10 Farads! 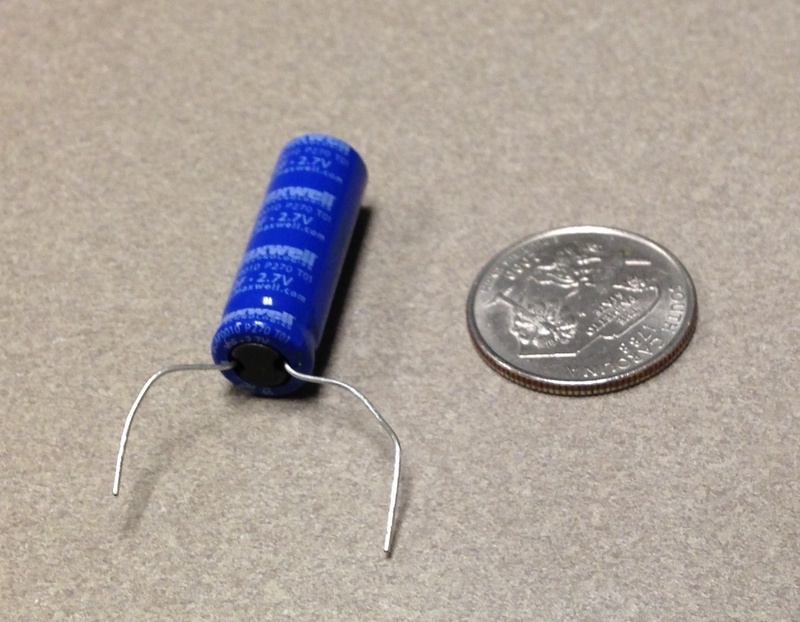 When I was in college, a 10 Farad capacitor was unthinkable, now you can find them in these tiny packages. My colleague Paul used this to research this video: http://www.youtube.com/watch?v=Flv6s94gBXE. So this is just a quick tour of some of the neat stuff around my desk. What kind of neat engineering stuff do you readers have on your desks? Feel free to share in the comments.